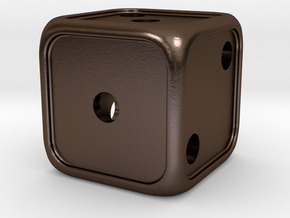 This is the four sided die (D4) in my 'Center Arc' dice series. 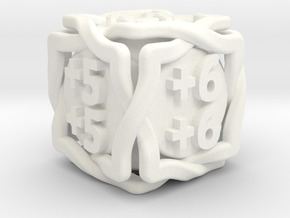 The numbers on this die are arranged so that the numbers at each corner give the value of the roll. Great care has been taken to ensure that the die is well balanced, so that rolls are fair. This is best printed in any of the steel materials or other metals, but is also suited for strong & flexible plastic. Please note however that it will be very light in plastic. 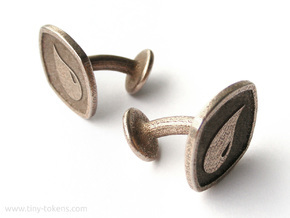 The steel version of this die weighs about 5 grams. 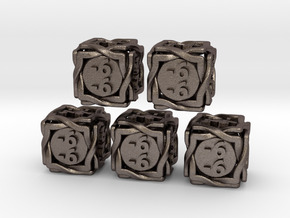 This die is also available as part of the complete 'Center Arc' dice set, which you can find here.